Christina Donnelly mother of Brendan who was killed by a drunk driver in a car accident at Castlemarteyr, Co. Cork. 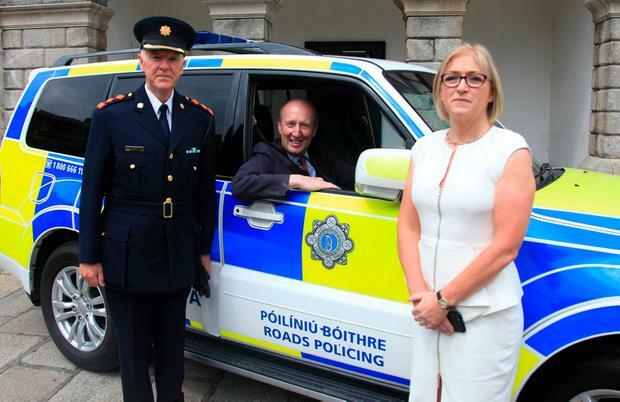 ROAD safety campaigners have urged Transport Minister Shane Ross not to rest on his laurels and to push for a new consolidated Road Traffic Act. Campaigners urged Mr Ross to use the momentum of his victory over filibustering rural TDs including Kerry's Michael Healy Rae to develop a unified new code of regulations to promote road safety. The Independent TD last week steered through new regulations - which must go to the Seanad before being ratified - which will see an automatic ban for drink drivers at a lower alcohol level and make car owners responsible for their vehicles being used by unaccompanied learner drivers. Susan Gray, founder of road safety campaign group, PARC, warned that much more still needs to be done - particularly given yet more evidence of drafting errors with vital road traffic regulations. Her husband, Steve, was killed by an unaccompanied learner driver in Inishowen, Co Donegal. "Another day and yet another drafting error identified in the drafting of lifesaving road traffic legislation," she said. A legal flaw has now been identified with legislation over new powers given to Gardaí to test motorists for drug driving. "We call on the Transport Minister Shane Ross to correct the error without delay. "But once again this highlights the urgent need for a consolidated Road Traffic Bill and one wonders what kind of a legal team we have advising the Transport Minister when time and time again the media are highlighting serious errors in the drafting of road traffic laws. "For years PARC and Deputy Tommy Broughan have campaigned for a consolidated road traffic Bill. "Meetings with various ministers gave PARC false promises that this work would be commenced - we haven’t seen any progress since." Last November, Taoiseach Leo Varadkar acknowledged the problems with the vast and unwieldy number of road traffic regulations. "Road traffic law is heavily litigated and the fact that there are so many Acts amending and overlapping other Acts makes it even easier for solicitors to get their clients off when they should not get off. I will discuss the matter with the Minister as I would like to see it prioritised,” Mr Varadkar said. Mrs Gray pointed out that the legislation as it currently stands is complex, unwieldy and represents changes and amendments to regulations which date back several decades. Campaigner Christina Donnelly, who lost her son Brendan to a collision caused by a drink driver, urged everyone to understand that the campaign is simply aimed at ensuring other families don't suffer such pain and grief. "I don’t want any other mother or father to go through the hell that we have endured every day for almost the past nine years. No parent should have to endure it,” Christina said. Christina also hit out at Mr Ross for not properly harnessing the support of all road safety campaigners. 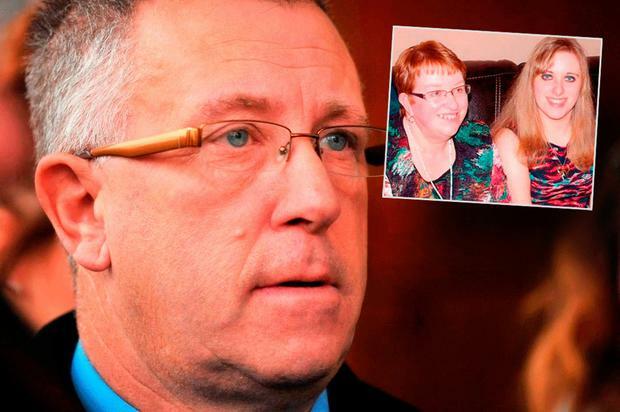 "I feel very bad let down by Mr Ross that I was not consulted or involved despite having campaigned for Brendan's Law (tougher sentences and lower drink driving limits) since the death of my son. "If all road safety groups are properly consulted and involved, the minister would have found himself in a much stronger position." PARC campaigner Noel Clancy, whose wife and daughter died in a collision caused by an unaccompanied learner driver in Cork, insisted that the focus of their efforts will now switch to the need for a consolidated set of unified regulations. Mr Clancy also hit out at the stance taken by a group of rural TDs who used every Dáil opportunity to delay the proposed new regulations. Taoiseach Leo Varadkar said he "regretted" that a small number of rural TDs delayed such vital road safety legislation. Mr Varadkar hit out at the filibustering which delayed the road safety changes championed by Mr Ross and warned that it was not the way a democratic parliament should operate. He also warned that the tactics of a handful of rural TDs had also effectively delayed other vital Irish legislation as an unintended consequence. The Taoiseach paid tribute to Mr Ross and road safety campaigners such as PARC and Christina Donnelly who backed the legislation. "I want to praise Minister Ross for his leadership in getting the legislation through," he said. "We absolutely understand that there are concerns, particularly in some rural areas, about the impact on rural isolation. "That's why, even before the bill was passed, we put more money into rural transport in particular and I think that's an important measure and I hope that's recognised too." "I do regret that a small number of TDs held up this legislation," Mr Varadkar said. "I appreciate that they object to it but by holding up this legislation they've also held up other important legislation." "And that's not really the way to run a parliament, I don't think."